The Eureka™ Genotyping Solution is a new targeted genotyping-by-sequencing solution that delivers high-throughput sample processing with low cost per sample. This is enabled by an innovative multiplexed combination of allele and sample-specific barcodes that support high sample plexing on a sequencer while delivering high-quality SNP analysis. 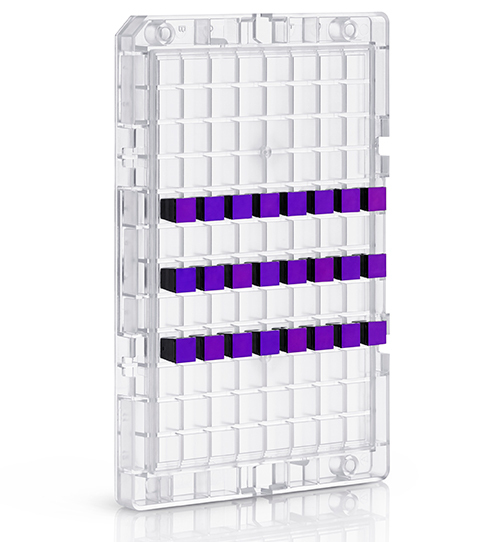 Complementing the Eureka genotyping offerings are the new configurations of the Axiom array formats with widened throughput choices for the customer. The new 24-sample configuration on the high-density Axiom 96 platform can interrogate upward of 800,000 markers while the new 96-sample configuration on the Axiom 384 HT platform can assay about 50,000 genetic variants.